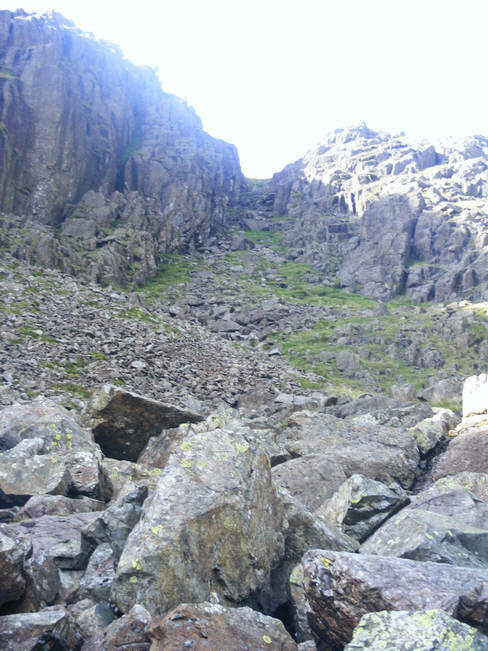 Here we see the narrow gully that leads out of Black Comb, at the top end of Mosedale, onto the ridge between Wasdale Red Pike and Scoat Fell. A reasonably easy grassy slope leads almost all the way to the top, ending at the boulder just visible in this picture. This is followed by a short easy scramble, which leads up to another grassy slope.